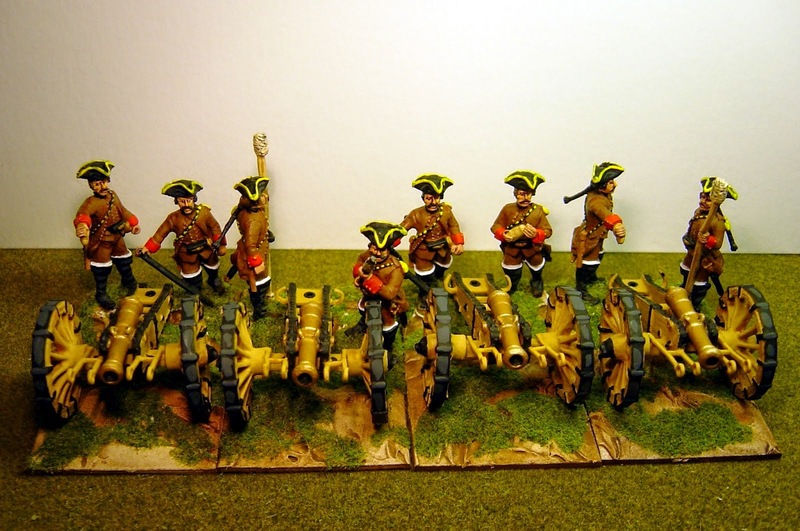 I've just painted these Prussian 3pdr battalion guns from Sash & Saber. 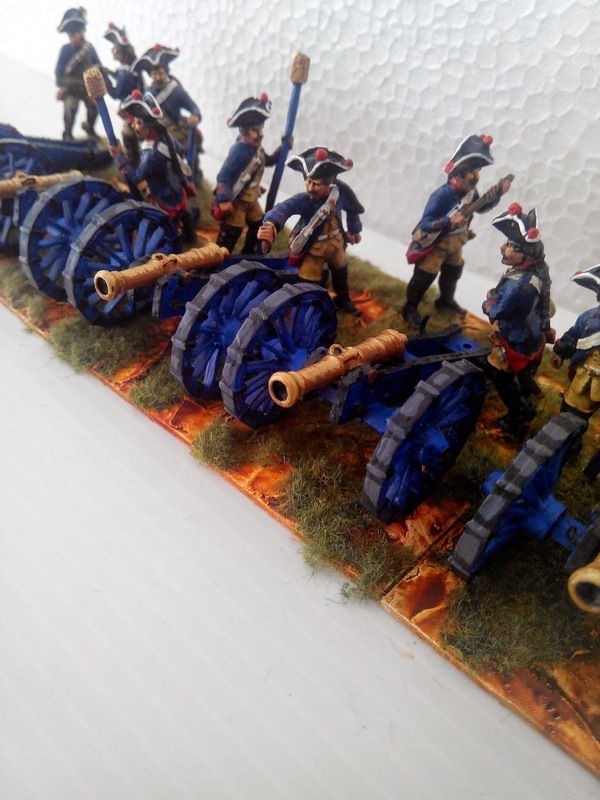 I'll put one gun between two battalions although the real deployment was for two per battalion. 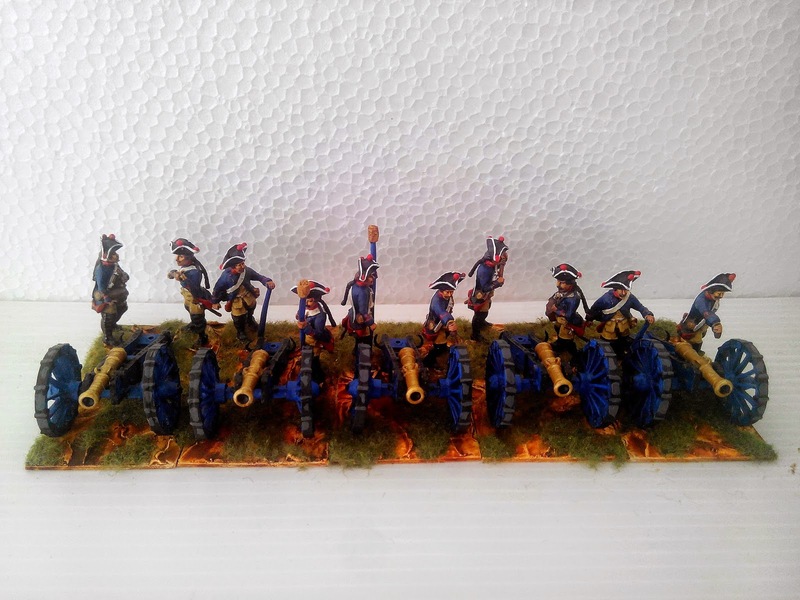 I've also painted the tricorne pompoms in red despite Kronoskaf showing them as more multi-coloured - I've gone with Greenwood & Ball who show red and red, in my mind, is rather more aesthetically correct for artillery. 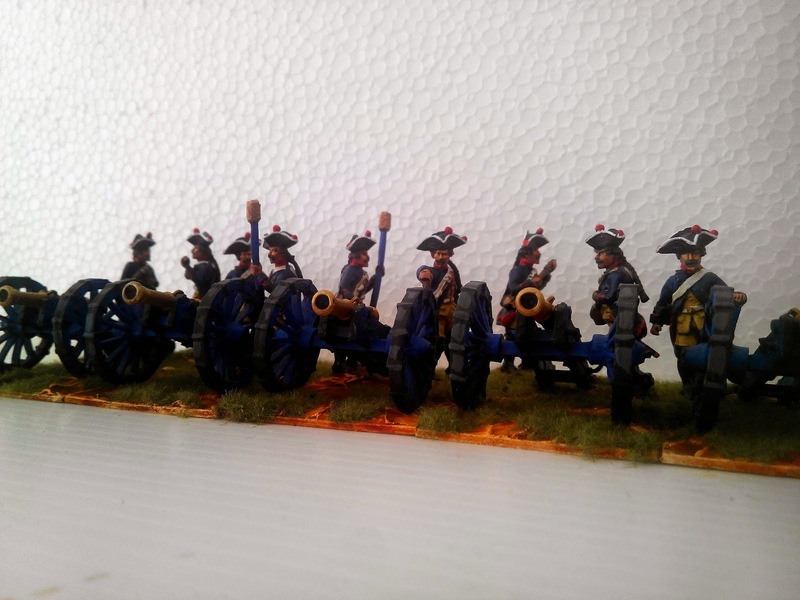 I've also shown an old picture of their Austrian counterparts. Your work is brilliant, it's a pity it's slightly eclipsed by the stark white background. Maybe a light blue background would be kinder to your painting. Love the S&S figures. I agree. I'm going to be doing something about it in the next few weeks.